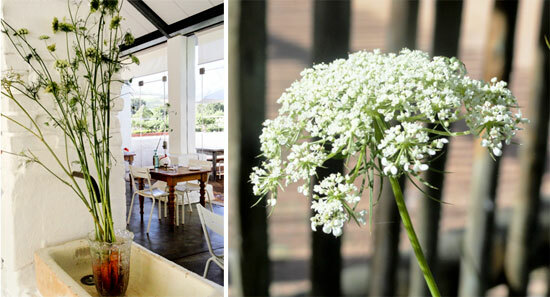 Many of the patrons visiting Babel Restaurant have been wondering about the white lace-like flowers we have on display, and can hardly believe it when we tell them they are carrot flowers! The benefit of leaving our carrots to flower is that we can now harvest the flower heads for seeds, and sow them again. After all, the good old carrot is one of our main vegetables at Babylonstoren – we use it in our juices, salads… and flower arrangements too. We usually plant Chantenay Karoo and like to hedge it in with other ‘light feeders’ which don’t need a lot of compost, such as spring onions.